Karate is more than kicking and punching at USSD 4s Ranch Karate; it’s been a way of life for over 10 years. We teach respect, restraint and focus that leads to success…and self-confidence. Regardless of any challenges, our students learn at their own pace, in their own way; realizing their full potential to succeed in today’s demanding world. Let’s discover how we can be your Bridge2breakthru! Because every person is unique, we believe their training should be as well. Every student receives one personalized lesson per week. They can be rescheduled and never expire. Our Group Classes compliment the individualized training, providing the basics of Shaolin Kempo; a mixture of martial arts, promote team work and teach invaluable life lessons. Our programs may qualify for tax deductible tuition! Looking to ‘kick start’ your 3 to 5 year old’s ability to understand what focus is while having fun? Then our Tiny Tiger’s program is right for you! 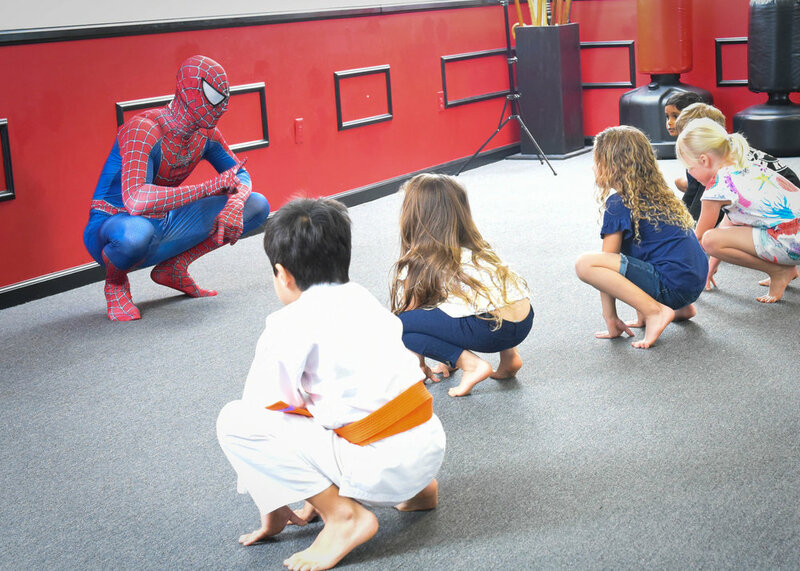 Our twice weekly, half hour group classes are perfect for little ones new to the martial arts. Students learn group dynamics, coordination, improve listening skills, develop muscle tone and realize the importance of ‘stranger danger’. Understanding that this age can produce a myriad of interesting challenges for our parents, our Juniors Program focuses on goal setting, responsibility and learning techniques that help them control their bodies and actions! Not only do we strive for emotional, mental and social improvement, we will also help your child meet the physical standards required by the State of California. 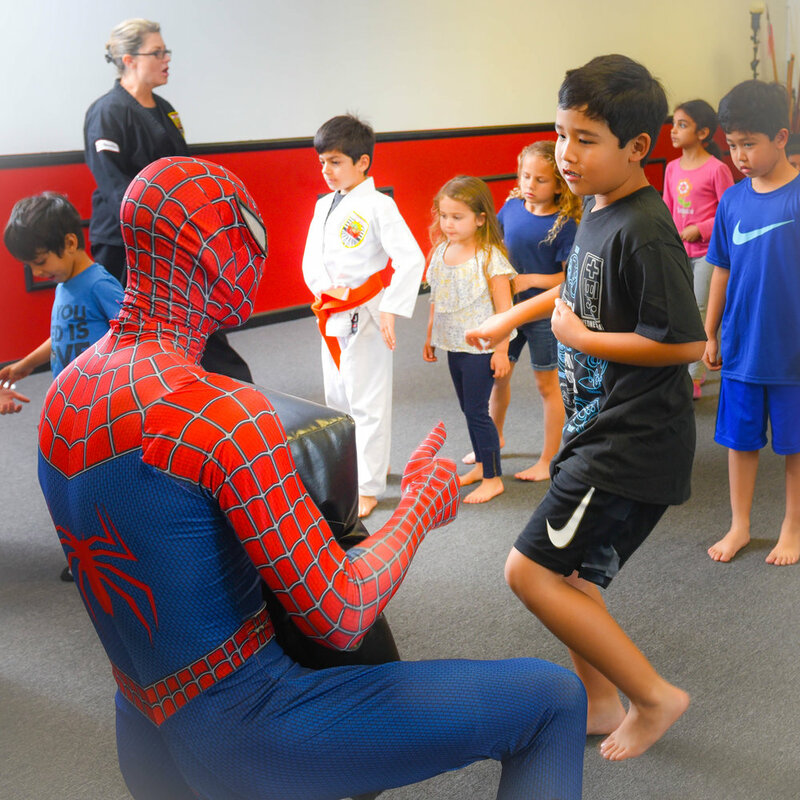 This action packed 45 minute class kicks your elementary age child’s training up a notch; not only providing more detailed self-defense and team building skills, but also help in the development of social acumen and confidence. Each week a life skill will be discussed to allow students to share, learn, grow and overcome the challenges faced at their age together. It’s never too late to start training in the martial arts! We understand how intimidating it can be walking into a class such as this, especially with the pressure we tend to put on ourselves! Our goal is make you feel comfortable; so you can reduce your stress, meet your fitness/health goals and feel confident! We have had students start at 80 years old; in 4s Ranch, there are no limits! Individualized training is what sets us apart from every other program available today. 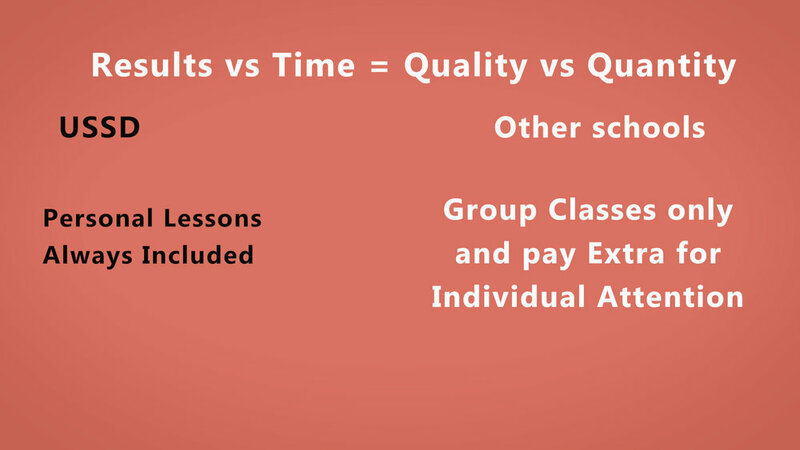 Each student receives one personalized lesson per week, scheduled during open hours. GROUP CLASSES: Click to find out more! 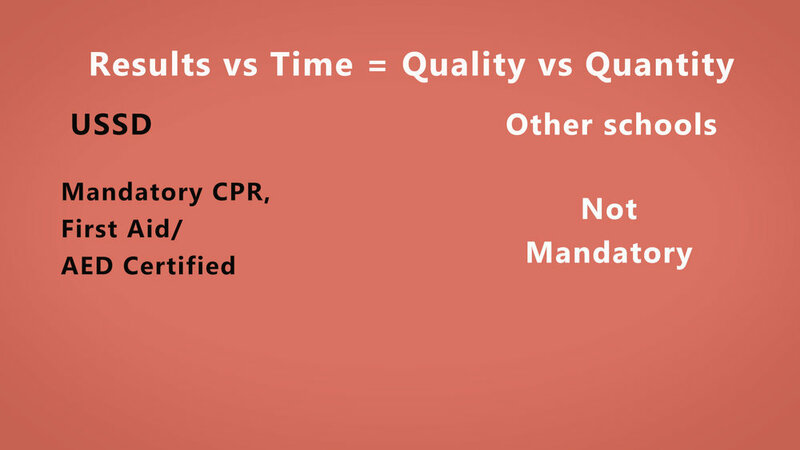 Understand the Difference between Quality vs Quantity! Congratulations to our students for successfully completing their Rank Achievement Test! We are so proud of you! Aanshi really brought the power to achieve her purple belt! Nothing like martial arts rank testing on a beautiful day! Still focused and disciplined after an hour of testing with more to go! Sparring after a long test but still going strong! The heat isn’t getting Noah down! He is just getting started! Special Thanks to THE AMAZING SPIDER-MAN for visiting our school with a surprise visit from Gwen Stacey “Into Spiderverse”! Sensei Will is our Senior Instructor and Staff Manager at USSD 4s Ranch. 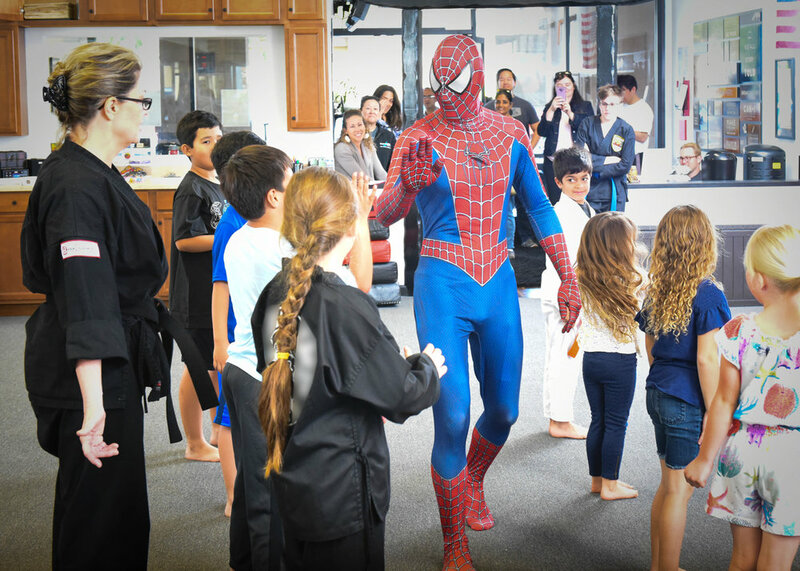 He brings 20 years of martial arts education and experience with the unique ability to balance compassion and discipline to teach and influence students of all ages. 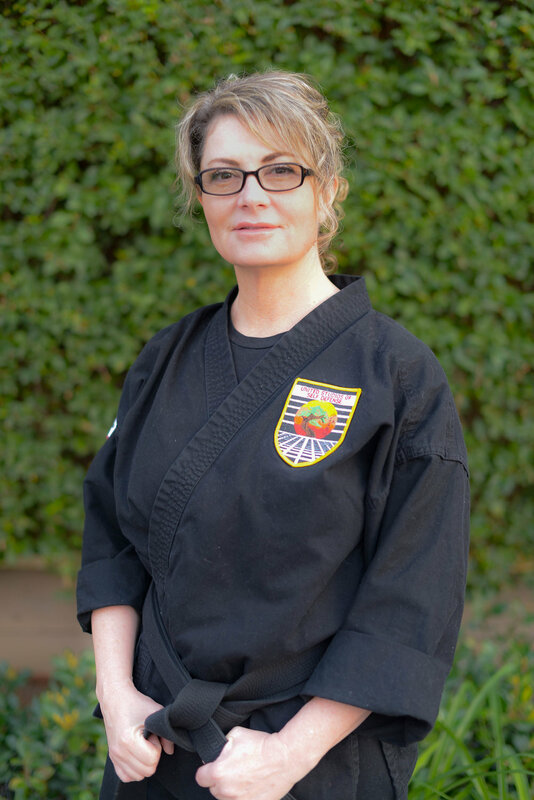 Sensei Stefanie is our Studio Manager and Instructor at USSD 4s Ranch. She truly believes in the power of a martial arts culture; helping students of every age and limitations to breakthru their challenges with positive reinforcement and a lot of humor. Registration details and location to be announced soon! Though we do not have the exact location yet, it will be in the Orange County area. Tournaments have been held at Santa Ana and Santiago Colleges; about an hour away from 4s Ranch. One event is ONLY $45. The funds go towards the venue, supplies to divide up and label the rings, supplies for the judges, insurance and the trophies/medals. It is created and funded strictly for the student’s experience. USSD DOES NOT PROFIT FROM THIS EVENT AND THE JUDGES AND INSTRUCTORS VOLUNTEER TO HELP! Many other martial arts systems not only charge more per event but make it mandatory to attend approximately four to five a year! USSD is asking to support your child in this growing experience for $45 ONLY TWICE A YEAR. Basically, the length of your child’s performance! When you register, your child will be designated a time slot based on age, rank and division. We recommend arriving a half an hour early to get your child acclimated; it can be overwhelming to see the amount of families participating. After your child performs and the winners are announced, you can head home, proud of your child’s accomplishment! Your child can enter to perform in Katas (their rank form), Weapons, Open Katas (any type of Shaolin Form they have) and Sparring. If they enter more than one, a discount will be given for every additional entry. DO SPECTATORS HAVE TO PAY? Yes. Akin to a dance recital, any family members attending to watch pay a small fee. Once again, this is not only to accommodate the venue but to ensure everyone’s safety and insurance required per person. Students MUST wear their full uniform with the USSD Logo neatly affixed on the left side and their belt rank. Those participating in sparring MUST bring gear, including a mouthguard with a groin protector for the boys. We recommend packing the car the night before with a checklist to ensure everything that is needed is brought. Too often we have had parents scrambling for belts and gear at the tournament. We want you to have the best experience possible; so, a little planning goes a long way! You may also bring snacks and water. There is usually some kind of food at the event but as we never know what type, it is always best to pack something, especially water to help your child stay hydrated. DOES IT RUN ON TIME? Many times, based upon the amount of participants and unforeseen circumstances (families arriving late for an event, not having the proper uniform or gear, individuals that signed up late and need to be placed in a division the day of), your child’s event can run up to 45 minutes late on occasion. The best way to help avoid such is to be prepared, arrive on time and SIGN UP EARLY! HOW MANY CHILDREN COMPETE PER EVENT? There can be up to 30 competitors per event. Remember, this event includes students from 85 USSD SCHOOLS across the country. The largest amount of participants are for elementary age children from white to purple. We try to reinforce the positivity of meeting and watching students from other studios and realizing they are part of something big. Many students that have attended regularly through the years have made lasting friendships from students all over the country from other schools! No. Trophies are awarded for first through fourth place only. This is not about ‘winning’ for us, it is about the fighting spirit, the drive to do your very best, move out of your comfort zone, mature, grow and not give up! It is an invaluable life experience for any child and adult. In fact, Sensei Will has 14 tournament wins to his name BUT did you know he did not win for the first few years he participated? He could have given up, but he didn’t; and we, as students and fellow instructors benefit from his growth as a martial artist as he has become one of the best teachers in USSD!